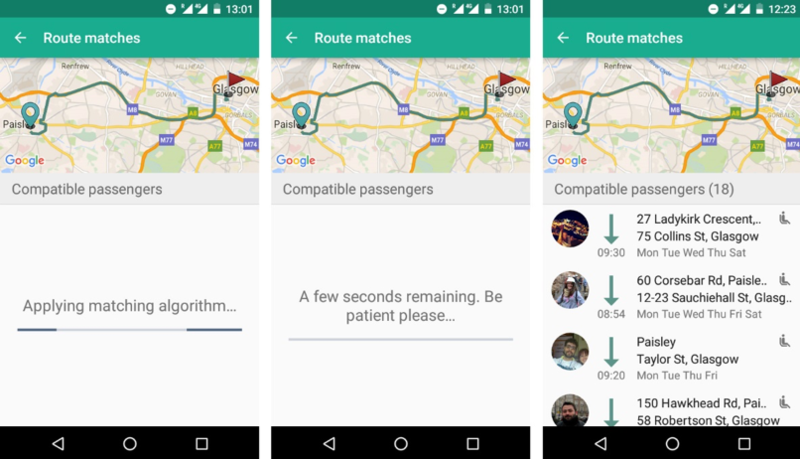 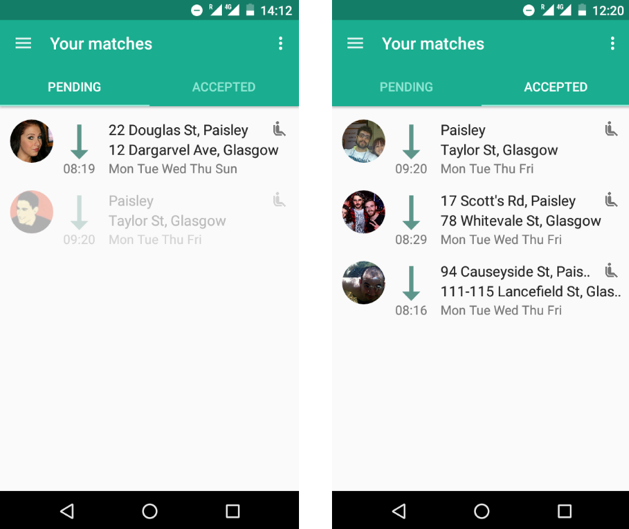 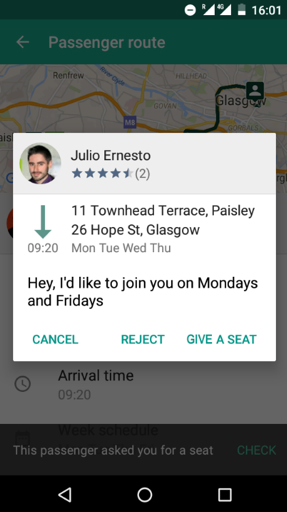 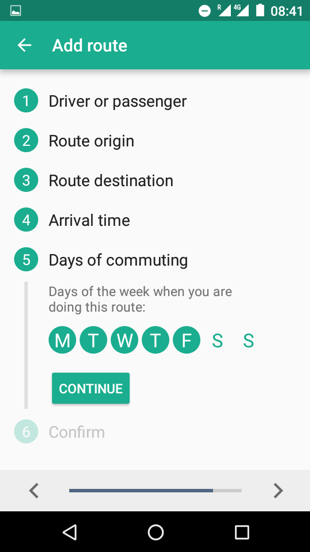 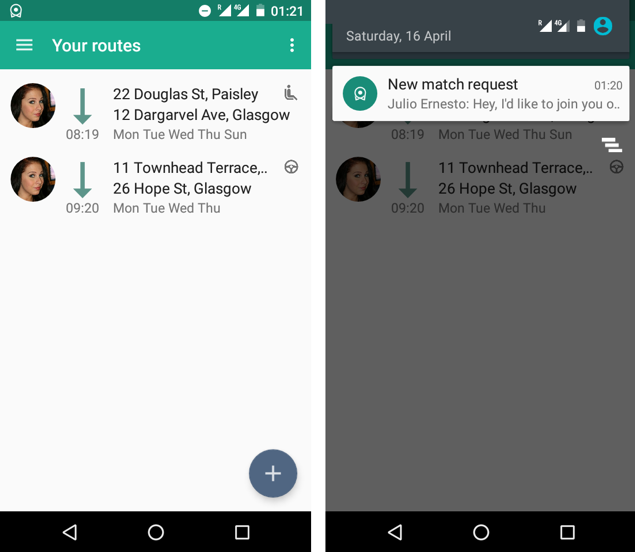 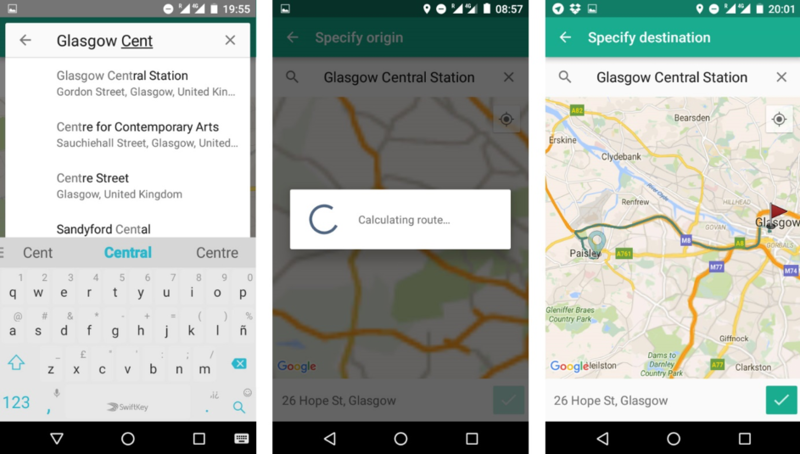 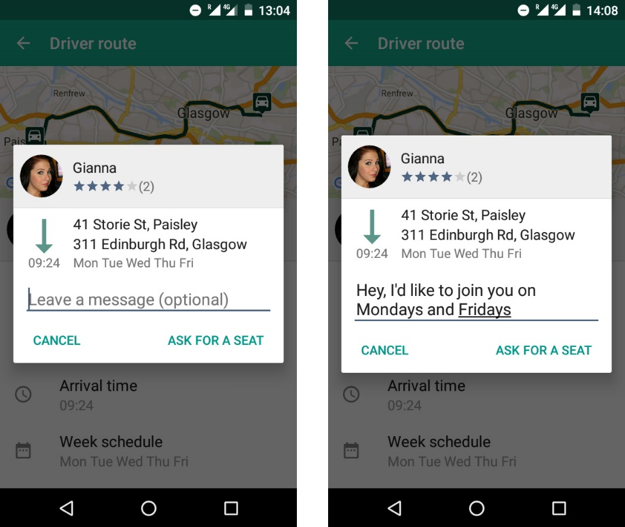 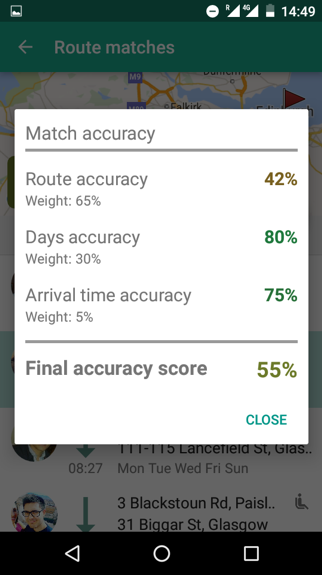 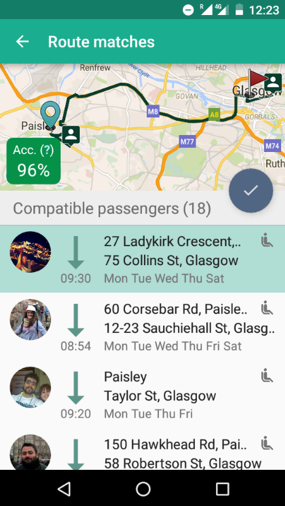 As my Honours Project in the University of the West of Scotland, I decided to create a carpooling app that would allow users to share their cars on their daily commutes. 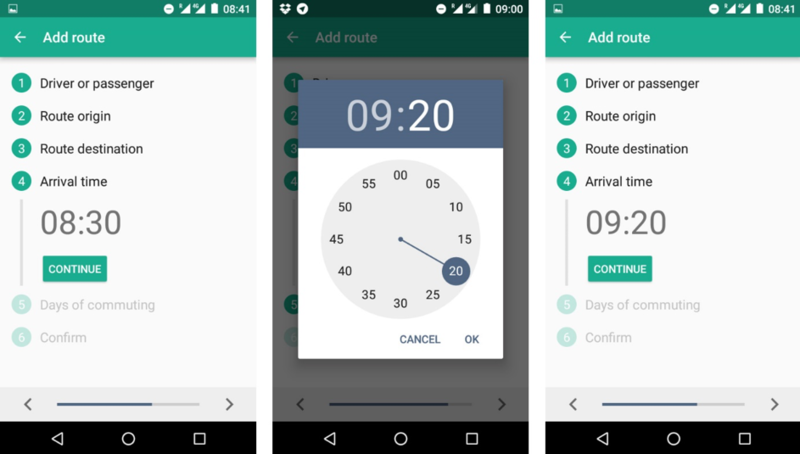 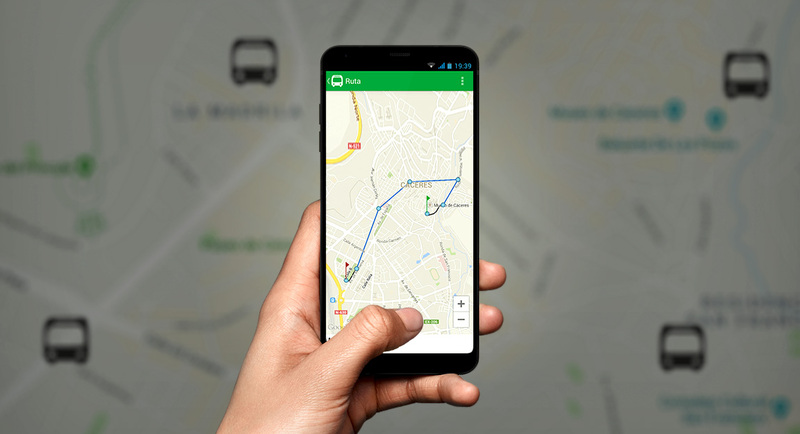 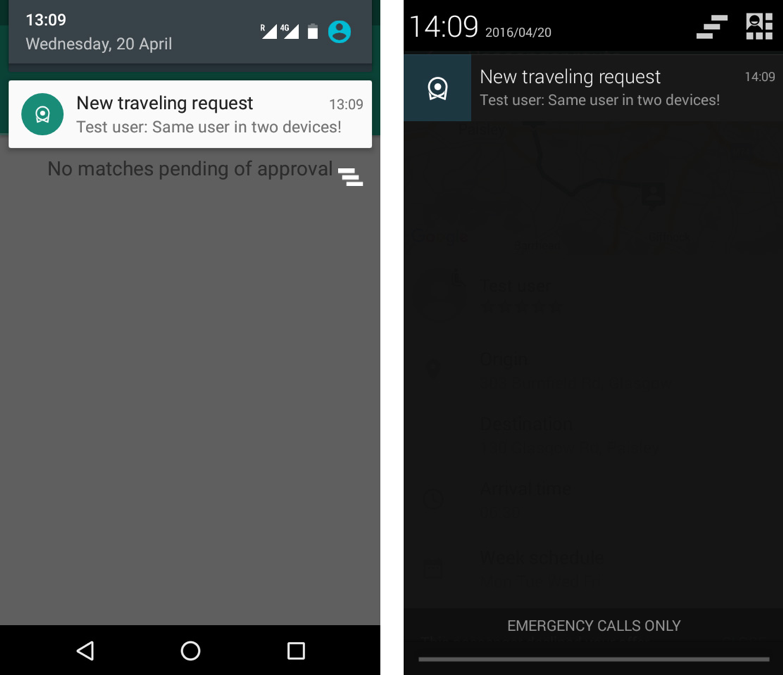 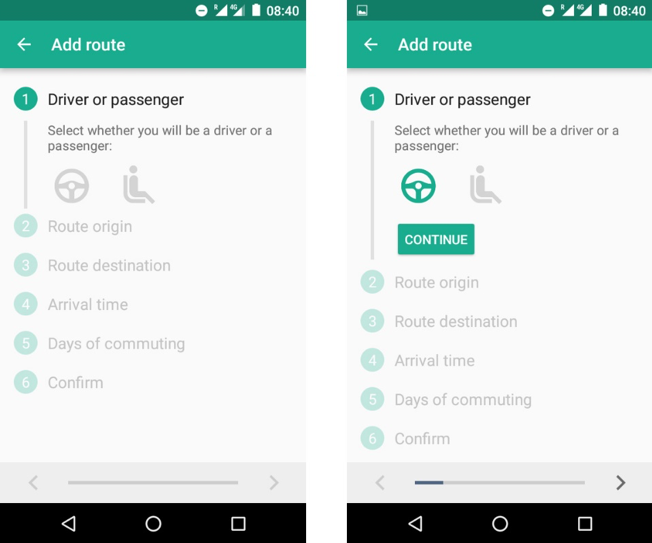 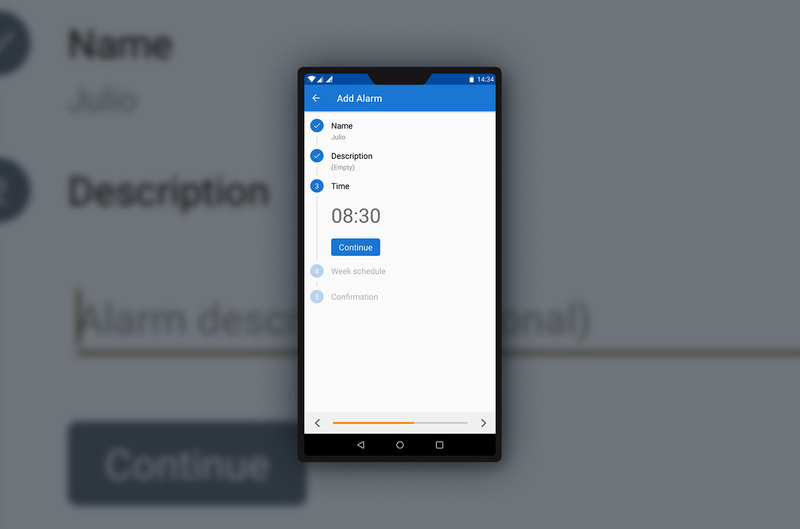 The idea was that you would introduce your route and schedule and the app would find compatible passengers or drivers. 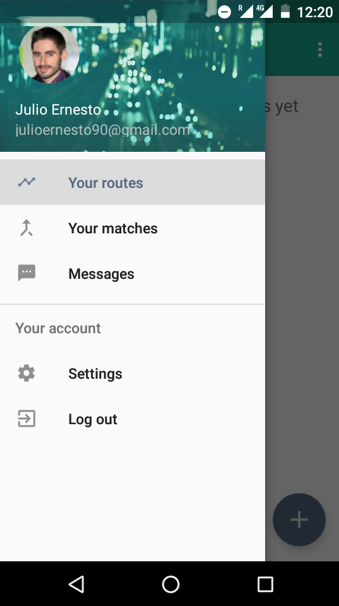 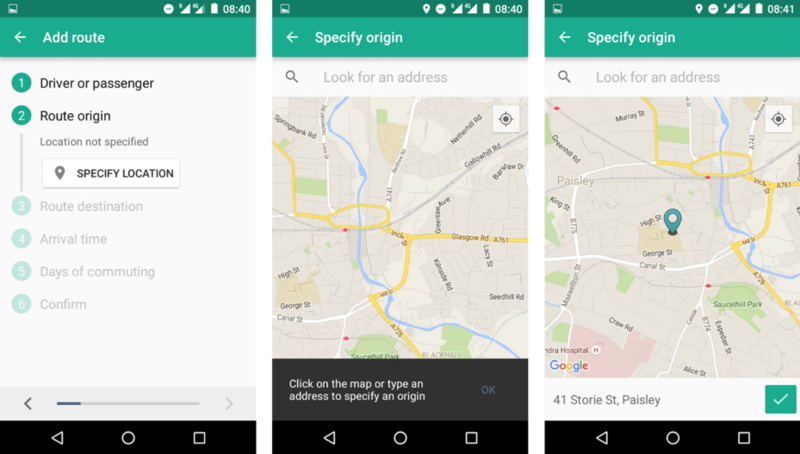 Apart from having a very robust matching algorithm, the app included push notifications, local storage that would allow it to work without internet, permissions management, a login system connected to Google Plus, and a smooth integration with Google Maps, among others. 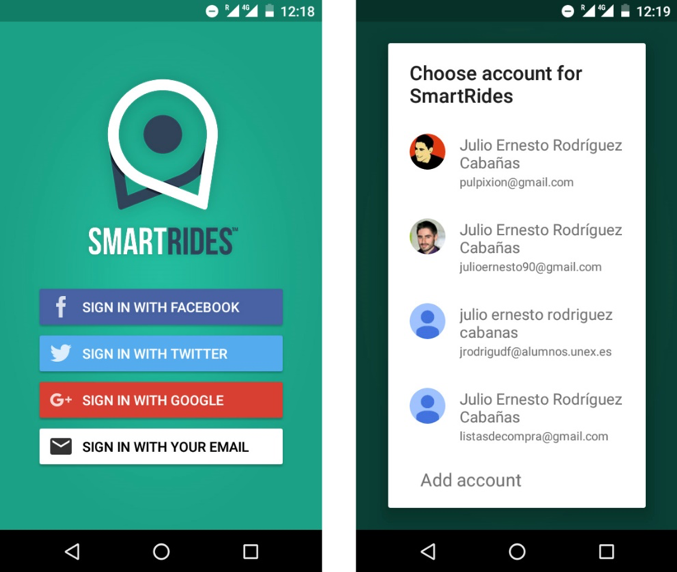 The backend was a REST API developed using PHP + MySql that would run in a server configured with HTTPS. 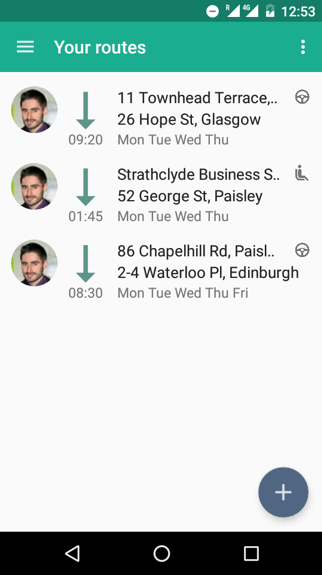 This project was selected as the best one of the year 2016 by the university, which made me a finalist in the national Scottish award “Young Software Engineer of the Year” and granted me with a free one-year membership for the British Computer Society. 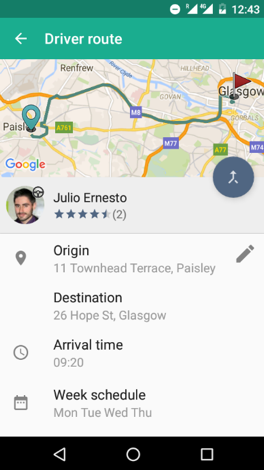 The app also won the award “Best Emerging Web & Mobile Project” in the event “Digital Futures” hosted at UWS.